Annual event will be on Saturday, Aug. 11 from 8 a.m. to 1 p.m. The city announced on Friday it would extend the Philly Free Streets route north to include the intersection of North Broad Street and Germantown Avenue due in large part to enormous community support. Next month's event had been originally slated to run for eight miles on North Broad Street between City Hall and Erie Avenue. It will now extend one block further north to Butler Street. A media release about the change described an "outpouring" of community interest to include the major intersection at Germantown Avenue in next month's Philly Free Streets event. 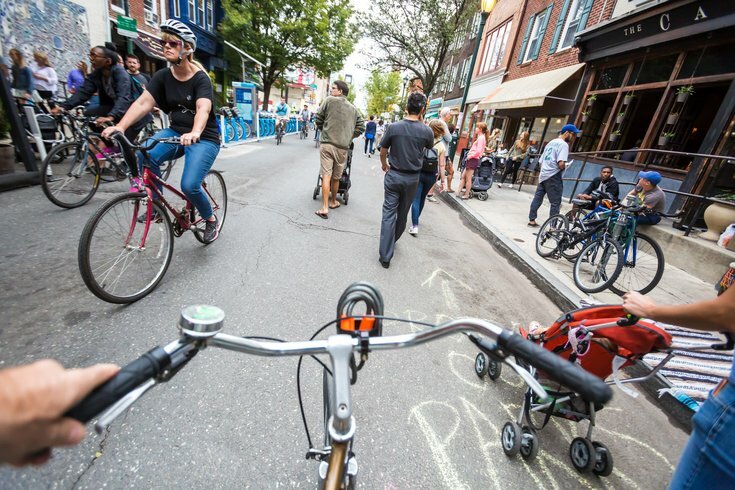 Free Streets will shut down the street for a day — that means no cars allowed — so that community members can hangout, cycle, and enjoy a walk on North Broad. The annual event is inspired by the open streets that organically sprouted up during the papal visit in 2015, when scores of city streets were closed for security reasons. Each year, city officials plant to move the event to a different portion of the city. A major component of bringing the event to North Philly this year is to showcase new businesses and neighborhood development projects like Divine Lorraine, the Philadelphia Metropolitan Opera House and the Beury Building. The first Philly Free Streets event brought some 30,000 people onto South Street, the Schuylkill River Trail, MLK Drive and West Fairmount Park in September 2016. This year's Free Streets will take place on Saturday, Aug. 11 from 8 a.m. to 1 p.m. There is no official start or stop and participants are welcome to join in anywhere along the route.